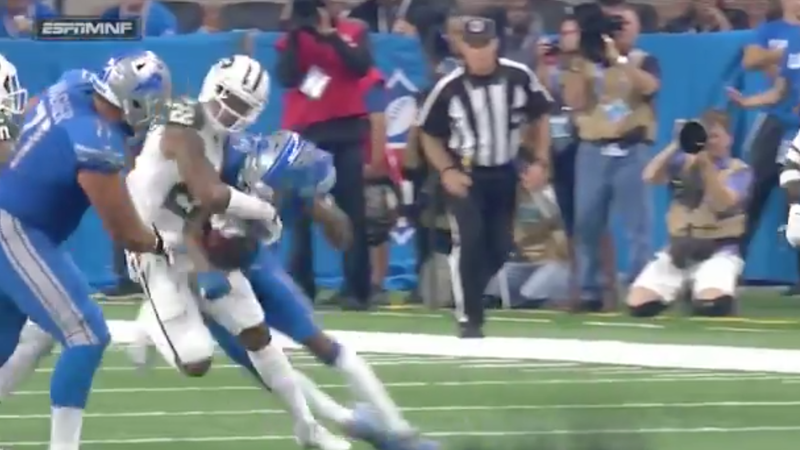 The powerful, yet errant, arm of Matthew Stafford certainly must make life as a Lions receiver a bit more difficult than it has to be. You’ll either get a well-placed ball on a deep route, or see the ball sail over your head when your route is anything under 15 yards. To deal with his quarterback’s inconsistency, it appears as though Kenny Golladay added game film from the league’s best strong safety’s into his offseason workouts. The hit honestly could not have gone any better. “Defensive” highlight on a national stage? Check. Forced fumble that resulted in a turnover? Check. Within the new laws of the game? Check. A player that can lay the hammer that hard sounds like someone that will thrive in a Matt Patricia-led system. In fact, if the defense had taken any pointers from Golladay prior to the game, they might not be currently losing to the New York Jets at the half.